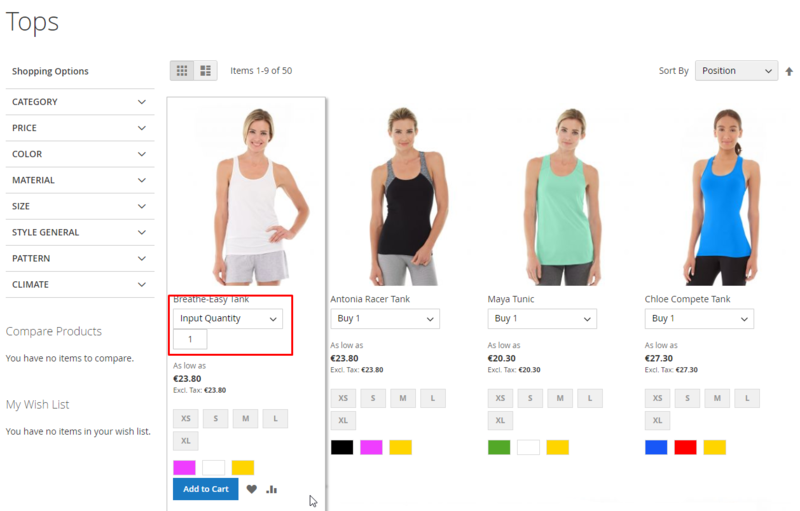 For the convenience of customers when purchasing multiple products with various discount options, Mageplaza integrates the ability to display Magento tier price notifications into the Better Change Qty module. 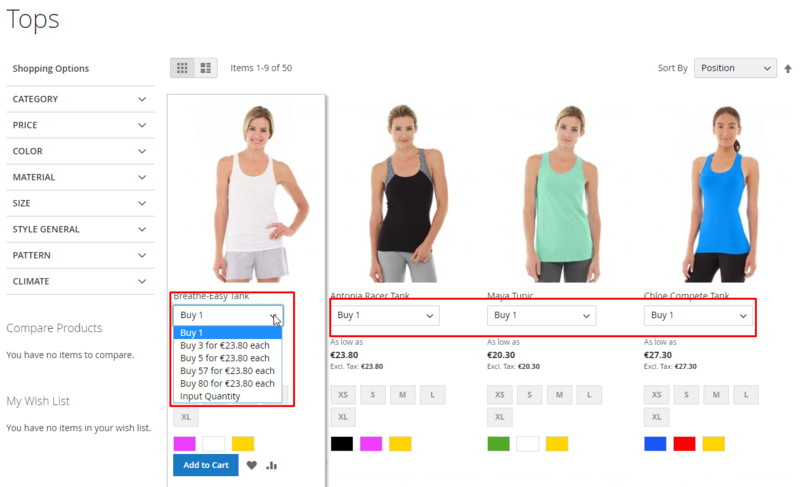 Customers can easily choose different options at different prices. 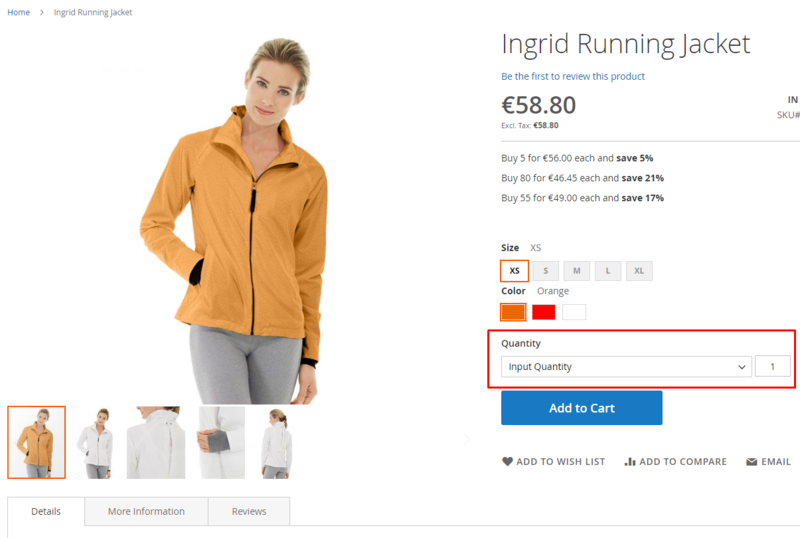 With only 1 select option and Add To Cart, customers have added products to the cart conveniently, quickly without entering the number of products corresponding to Mgento’s announcement to receive the same discount. 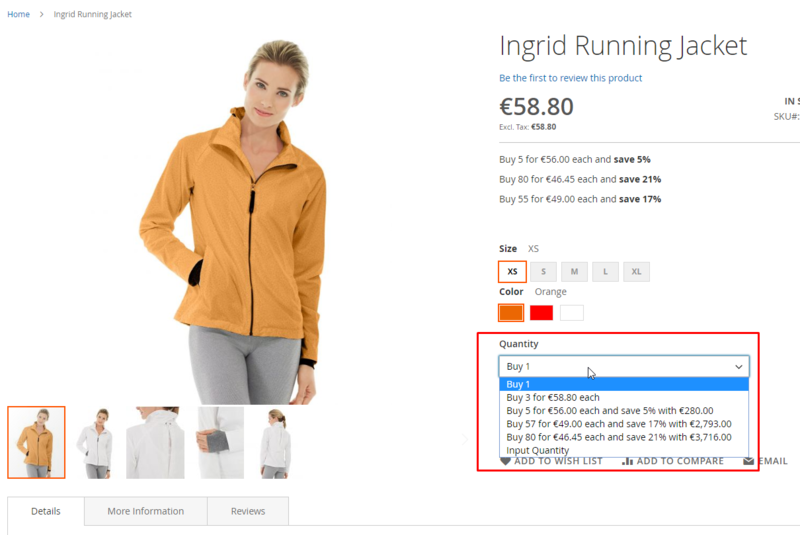 For example: If Qty Increments = 3 as in Magento product configuration; Step 1 is 1 product, Step 2 is 4 products, Step 3 is 7 products and so on. The difference of product quantity is 3. 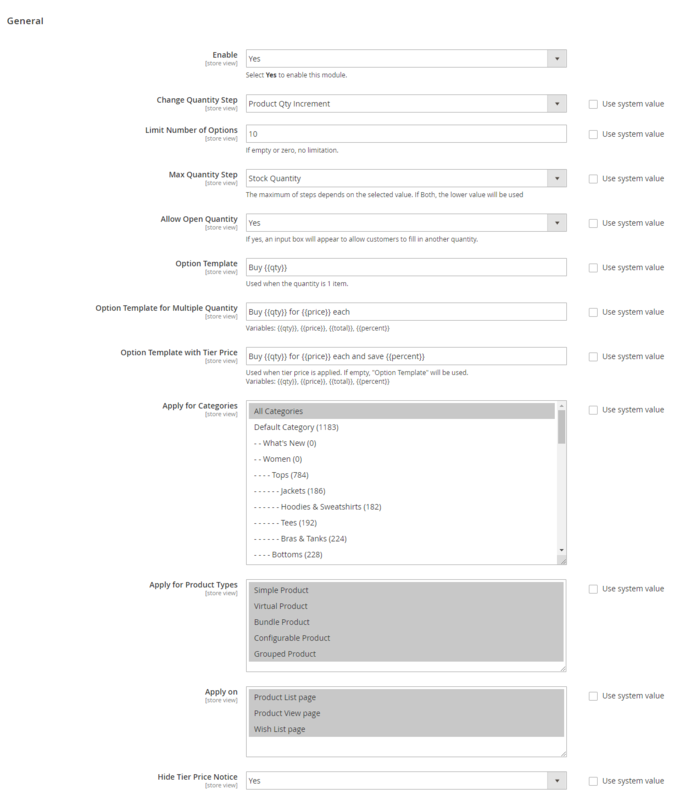 Max Qty Step = Fixed Value: Displays the maximum number of products for each time adding product to the cart. 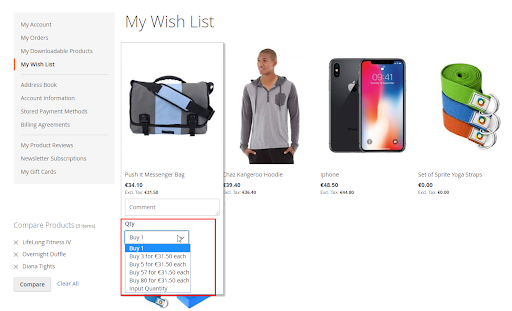 Max Qty Step = Both: Display the product number of each step until the number of products is equal to the configured value in Max Qty Value field or until the product runs out of stock (prioritize the smaller value). For example: Stock Quantity = 50, Max Qty Value = 70 then step will stop at 50 products.